To align cell contents,click the cell or cells you want to align and click on the options with in the alignment group on the Home Tab. there are several options for alignment of cell contents. Top Align : Align text to the top of the cell. Middle Align : Aligns text between the top and bottom of the cell. Bottom Align : Aligns text to the bottom of the cell. Align Text Left : Aligns text to the left of the cell. Center : Centers the text from left to right in the cell. Align Text right : Aligns text to the right of the cell. Orientation : Rotate the text diagonally or vertically. Format Cells : There are several tabs on this dialog box that allow you to modify properties of the cell or cells. Number : Allows for the display of different number types and decimal places. Alignment : Allows for the horizontal and vertical alignment of text. Font : Allows for control of fonts,font style,size,color and additional features. Border : Apply border styles and colors. Fill : Cell fill colors and styles. Decrease Indent : Decrease the indent between the left border and the text. Increase Indent : Increase the indent between the border and the text. Wrap Text : Make all contents visible within a cell by displaying it on multiple lines. 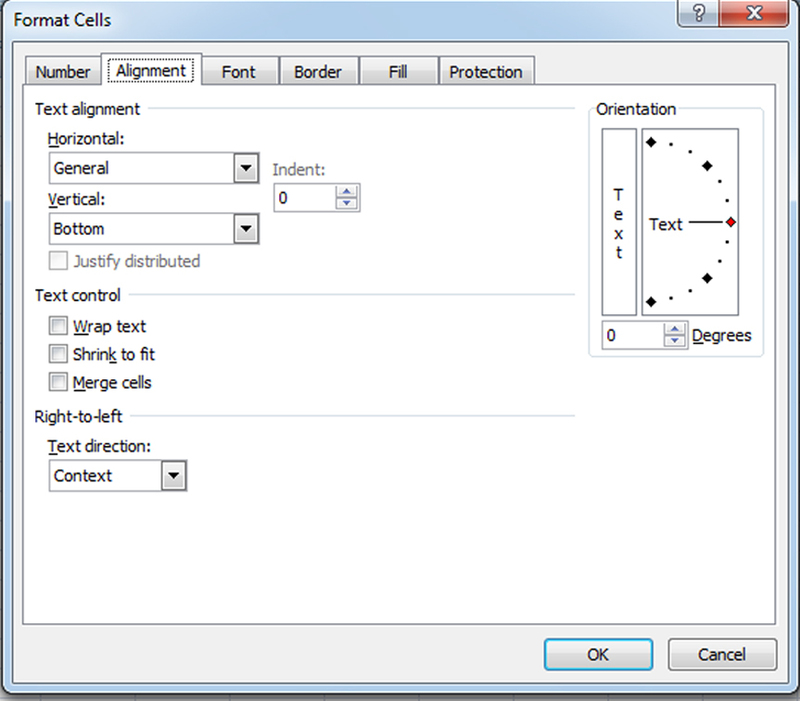 Merge and Center : Combines the cell and centers the contents in the new,larger cell. Merge Across : Combines the cells across columns without centering data. Merge Cells : Combines the cells in a range without centering. Un-merge Cells : Splits the cell that has been merged.